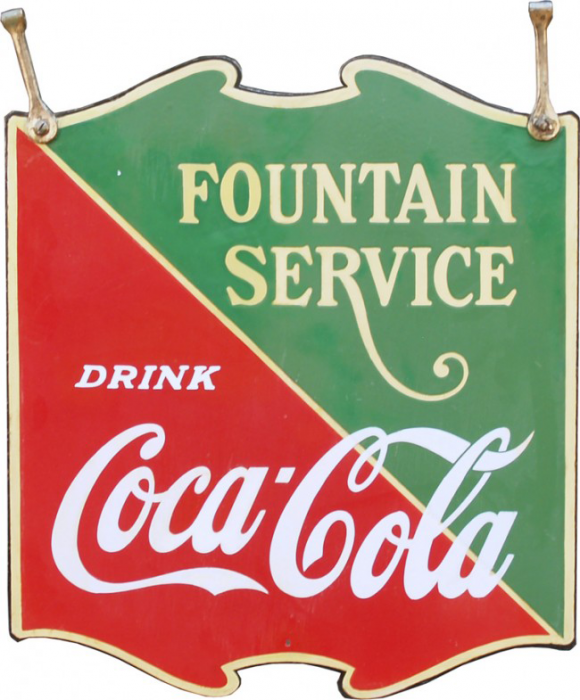 This is a die-cut Coca-Cola Fountain Service porcelain sign. This particular Coca-Cola Fountain Service sign is green and red with white text. It reads, “Fountain Service, Drink Coca-Cola”.